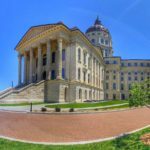 Home » Posts Tagged "HB 2578"
One More Day Until Turn-Around – So What About the Due Process and Bullying Bills? Both chambers have been consumed with floor debate yesterday and today on long lists of bills, but none of those bills are of urgent interest to us. Tomorrow will be the final day for debate before the turn-around break. Our major interest at this time is HB 2578, the bullying bill that includes the restoration of due process for Kansas teachers. The bill sits on the floor but so far has stayed below the debate line. If not passed by tomorrow it will be dead. In light of that Rep. Jim Ward (D-Wichita) announced this morning that if the bill is not above the line tomorrow, he will offer a motion to bring it up for debate at that time. Challenges of that sort of leadership decisions don’t always succeed. Contact your state Representative and ask him/her to support all efforts to bring due process to the floor for debate and action. This afternoon the House Tax Committee met and introduced both the bullying bill and the due process restoration bill as stand-alone bills. Since the Tax Committee is exempt from timelines, this action means both bills will still be alive after turn-around regardless of what happens tomorrow. So if HB 2578 is not considered tomorrow, we will turn our attention to bringing both bills out of committee for debate on the floor. 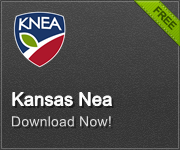 Both bills are important and strongly supported by KNEA. We are confident that there is bipartisan support for both bills on the House floor. The restoration of due process is a legislative recommendation in the report of Education Commissioner Watson’s Blue Ribbon Task Force on Teacher Vacancies and Supplies. The Task Force was clear that until teachers are respected by the legislature, there will be no progress on solving the looming teacher shortage in Kansas.